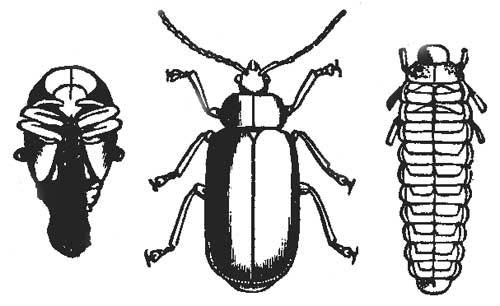 A great vintage drawing of a leaf beetle as it grows from larva to pupa and finally to adulthood. Use one or all three of these copyright free beetle images for your next project. This vintage drawing is over 130 years old. It was included in A.S. Packard, Jr.’s 1873 book Our Common Insects.